The Great Decline of The Travel Inn! While travelling in India it is often difficult to find a good standard of accommodation away from the big cities. 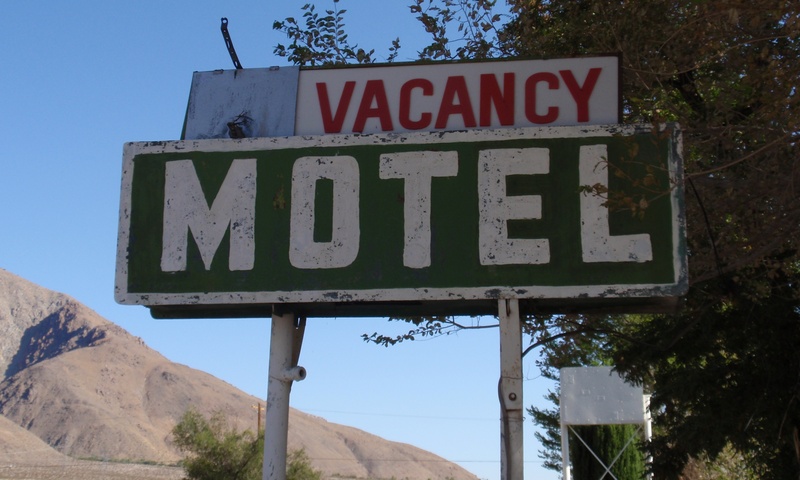 Although things have changed tremendously since I first visited in the mid 90’s, with many decent hotels coming up in the cities, in the rural areas, clean comfortable accommodation is often scarce. When you do find somewhere you tend to hang on to it as your favored place to stay. The Boss and I travel quite frequently by road between Mumbai and Bangalore, a distance of about 1000kms, and after the first couple of times doing it non-stop, a 16-18 hour drive, and being physically wiped out for a couple of days afterwards, realized that it was probably a good idea to break journey half way. Fortunately a couple of years ago we discovered, in Dharwad, approximately the mid-point of our journey, a Hotel called The Travel Inn. Functioning a little like the highway motels we are used to in the west, The Travel Inn was a clean comfortable pit stop, which provided good food and even charged for only half a day if you left within 12 hours of checking in. A perfect respite on our long drive and one we used every time we passed through. On our recent drive back from Mumbai (posted here) we again decided to break journey at The Travel Inn. Arriving early evening we checked in, while simultaneously reading the various framed certificates on the reception wall. Certificates announcing compliance with ISO: 9001, water quality, and low carbon footprint. Suitably impressed we took our keys and waited while a small army of boys ferried our bags from the car to the rooms. After surveying the twin bedded rooms, confirming that there was hot water, “yes sir, 24 hours hot water”, and asking for a couple of pillow cases to be replaced as they were, let’s just say, not as white as they should be, we decided to freshen up before dinner. The first order of business was to give my niece her bath as when leaving Mumbai we had just plucked her out of her bed in the early morning and put her in the car still fast asleep. 15 minutes later, sure enough water started to flow from the hot water tap, at first luke warm and clear, then as it got hotter it changed colour at first orange then darker and darker until a reddish brown liquid poured out into the bucket. Another call to reception. “Don’t worry Sir. Just waste 5-6 buckets of water”. I emptied the first bucket together with the 5 cm layer of brown sediment now coating the bottom and proceeded to fill another, repeating the process 5-6 times, before sure enough the water flowed hot and clear from the tap. My 6 year old niece, who had before been watching the process in horror and with understandably some fear of the bath to come, finally relaxed and summoned up enough courage to have her bath. We had a reasonably pleasant dinner in the cool open air dining area ( Dharwad, being slightly elevated, has a very agreeable climate year round), the highlight of which was overhearing the staff briefing in which the manager, demonstrating his ISO: 9001 compliant management style, said he would slap the staff in the face if he caught them carrying out some (unknown to us) misdemeanor again. Back to the room. Time for the Boss and I to partake of the 24 hours hot water and have a shower. Turned on the hot tap…again no water. Quick call to reception. “Sir, after 15 mins it will come, then please waste 5-6 buckets of water” Familiar now with the procedure, I waited as bucket after bucket of brown liquid flowed out. 60- 70 litres later, the water finally clean enough (but sadly only luke warm) we showered, changed and decided to watch a bit of TV. Following an exhaustive 10 minute search for the remote, another quick call to reception. 2 minutes later, a knock on the door, and a boy stood there with a handful of TV remotes. By now doubtful, I asked him to wait while I tested the remote. The remote seemed to be working, a light flashed at the end of it, but no response from the TV. 5 minutes of fiddling with the cables and plugging it into different power sockets ensued, and then the boy admitted defeat and walked out with the TV under his arm, replacing it a short while later with a functional one. By this time dissatisfied, disillusioned and disappointed, the Boss and I decided to sleep so we could leave as early as possible and spend the minimum amount of time in what once was a pleasant overnight stop. Hearing a shriek from the Boss I turned around to see that she had folded back her bedcovers to get into bed and discovered a set of muddy footprints between the sheets. I turned to my bed and wondering what I would find, folded back my covers to discover a profuse scattering of hairs, some of them suspiciously short and curly! This entry was posted in Hotels, India, Karnataka, Travel and tagged Accommodation, Bangalore, Dharwad, Hotel, India, Mumbai, Road Trip by Kiwigypsy. Bookmark the permalink. Too funny, at least to the reader, and all too familiar. Great post. Makes for funny reading but I wasn’t laughing that night! I think I could just about have tolerated it, until I read your punchline – uggghhh! Yes, it was the “icing on the cake”!